Purchase & Apply the Redeem Code. Set up your Account to Get Started. Interactive & Realistic Online Training! 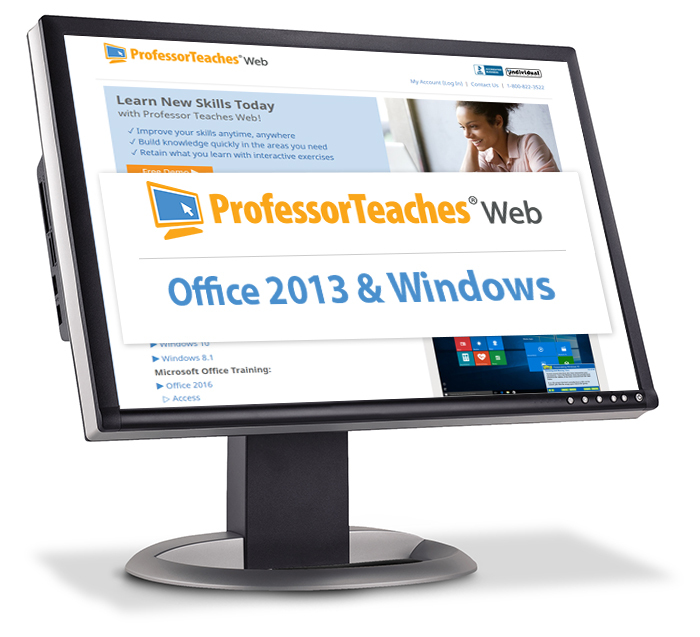 Professor Teaches Web – Office 2013 & Windows 10 provides interactive and realistic training for the Microsoft Office Suite and Windows. Learn at your own pace with the training courses available during the time period of your subscription. All tutorials are organized for fast learning to help you develop new skills and learn from beginning to advanced topics. Get 24/7/365 online training from anywhere with internet access. There is no software to download, install, or update. Just log in and begin or resume your training. Over 7 Courses & Over 350 Lessons! 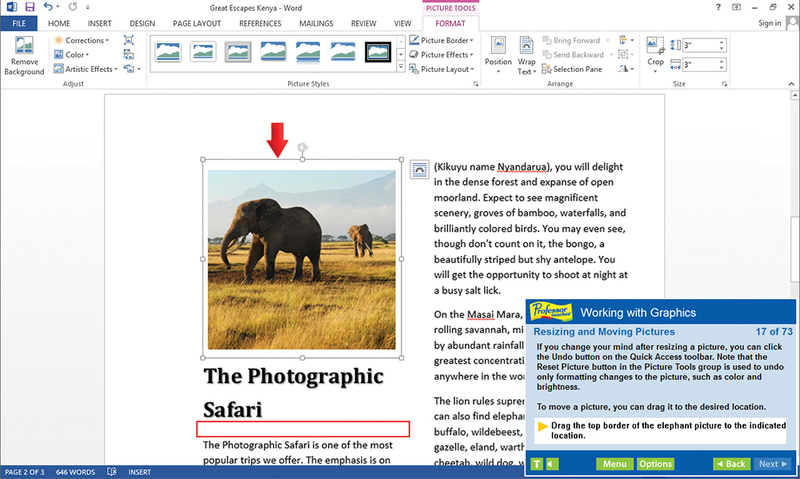 Learn the Office 2013 applications at your own pace. 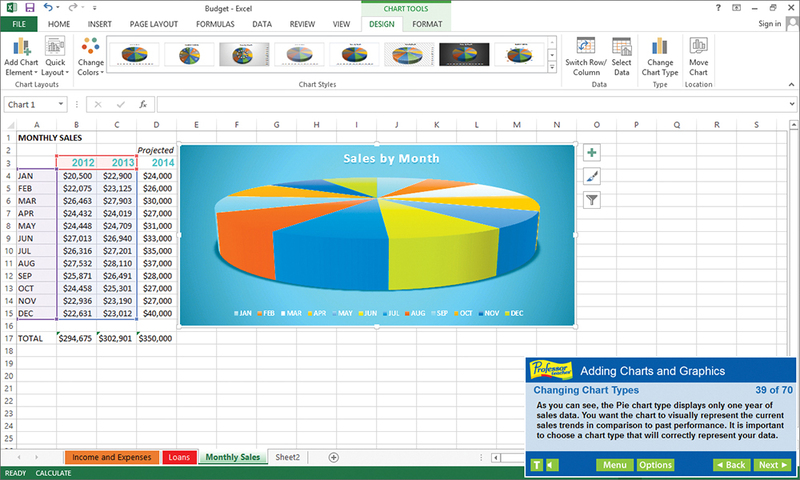 The Microsoft Suite includes Word, Excel, PowerPoint, Outlook, Access, and OneNote 2013. 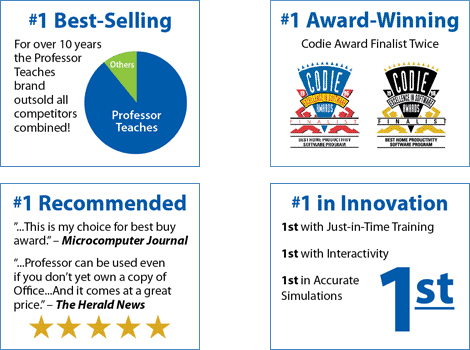 Professor Teaches includes interactive, hands-on training that takes place in a realistic simulation of the actual software. Learn how to create professional documents, spreadsheets, and presentations. Take advantage of new tools for collecting, analyzing, and sharing information. Professor Teaches training is better than videos! You’ll interact to perform the correct action during each exercise for better learning and retention. 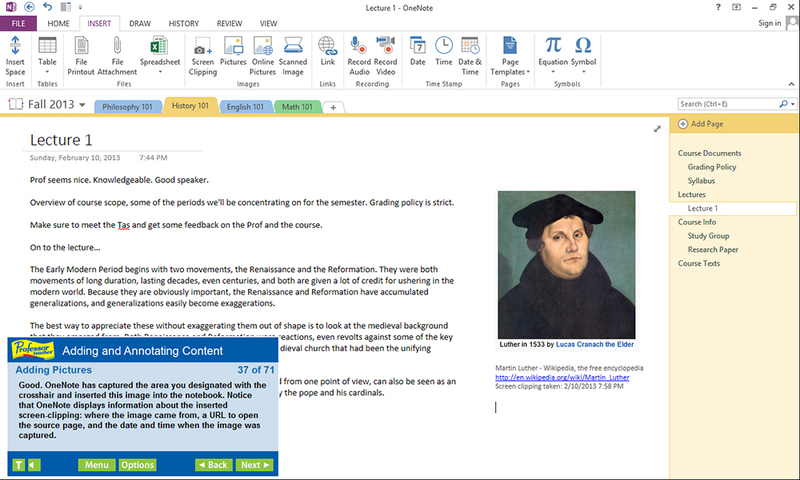 Realistic simulations of Office 2013 provide the ideal learning environment so your transition to the actual application is easy. Hundreds of learning topics and beginner through advanced subjects are included. Introductions, summaries and end-of-chapter quiz questions all reinforce learning. All courses use the same design and education methods to ensure consistent quality throughout. The Fastest Way to Learn Microsoft Office! Professor Teaches courses are self-paced and allow you to practice in a realistic simulation of the software. 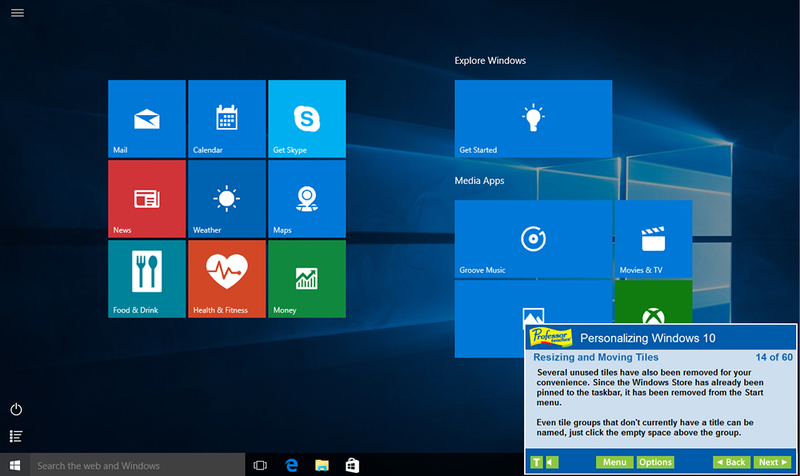 Windows 10 has many new features that allow you to access and share your information in innovative ways. Learn to navigate Windows 10 in this comprehensive training tutorial that includes over 60 lessons! •	Understanding OneDrive, the Cloud, and More! 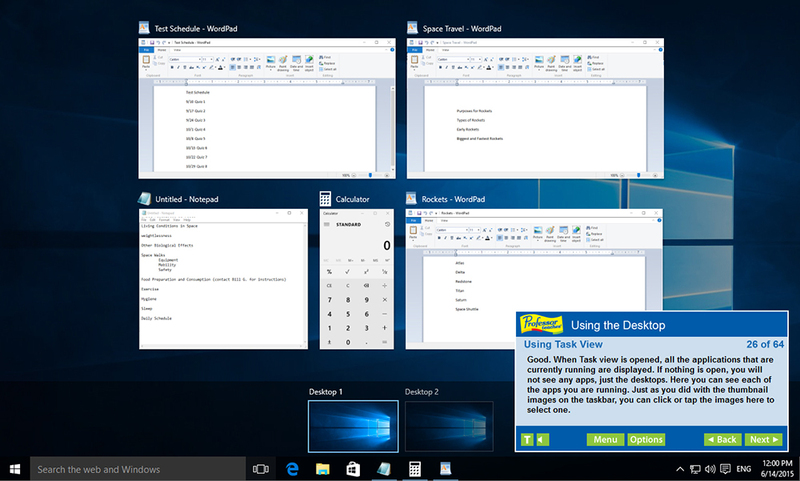 Windows 10 allows you to access and share your information in innovative ways when you learn the new features from Professor Teaches. This comprehensive training tutorial with over 60 lessons will show you how to navigate Windows 10, including using the Start Menu, how to access new Action Center notifications, using universal apps, new controls for minimizing, maximizing, and closing apps, using the personal assistant Cortana, navigating Edge, the new world of internet browsing, using virtual desktops, organizing your workspace with multiple desktops, using navigation continuum, and more! This fully interactive and complete tutorial is organized for fast and easy learning with practical exercises to help you build new skills and become proficient using Windows 10. This fully interactive and complete tutorial is organized for fast learning with practical exercises to help you build new skills and become proficient using Windows 10. *Please set pop-up blockers to allow pop-ups from this site. The latest browser versions are highly recommended. Note that Firefox is not supported.